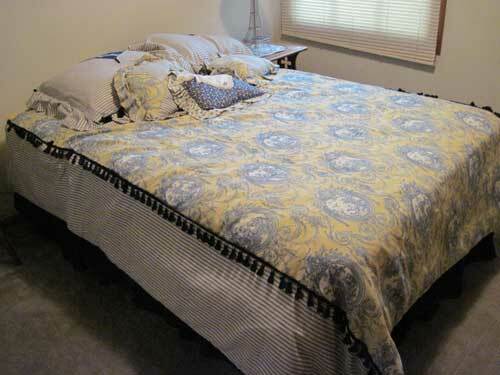 Cherie Burbach at Blisstree.com recently shared some terrific ideas on how to make your own inexpensive bed comforter. She even gives some tips on how to save money by recycling your old one while updating your decor at the same time. Typical upholstery fabric is 60″ wide, not wide enough to make an entire comforter using a solid un-seamed piece, but this is a great example of how to create your own custom bedding without spending a fortune and without any unsightly seams down the middle. Visit Blisstree.com for more ideas and full details.